This sturdy hard shell plastic carrying case is perfect for scale transport and/or route collection use. 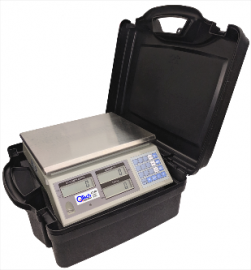 The scale may be operated while in the case for fast and easy transactions. Padded foam base provides added protection.